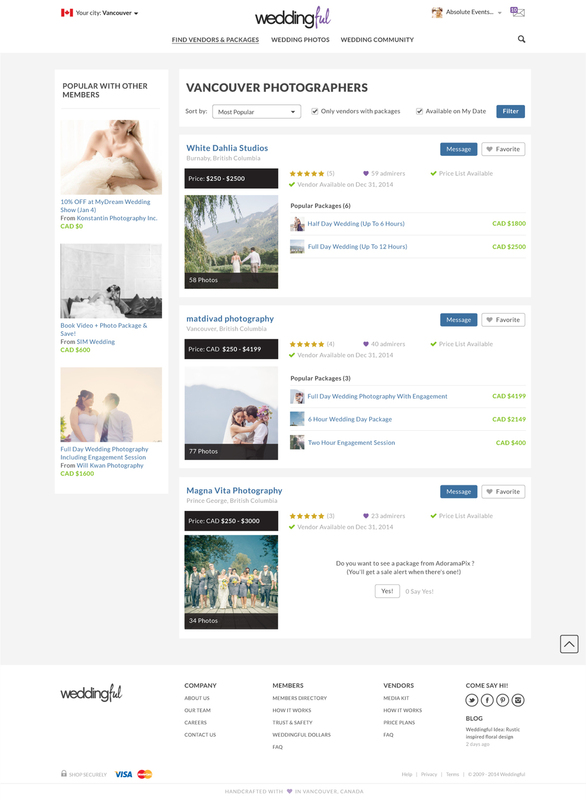 I worked as UX / UI designer at Weddingful, an online wedding shopping marketplace. The product aims to make booking vendors and wedding planning easy and affordable. It also connects brides in US and Canada with vendors online.